Ten grizzly bears have been killed this year in the Greater Yellowstone Ecosystem, but experts say that pace is normal and almost identical to the number tallied last year. Climate change exacerbated by global warming could decrease the diversity of life in the Greater Yellowstone Region's montane meadows, leading to a decrease in the amount of flowers and impacting the food chain depending on them. Researchers tracing outbreaks of brucellosis in the greater Yellowstone Ecosystem have discovered "hot spots" of the disease far, far removed from Yellowstone bison -- and squarely in the midst of the elk population. 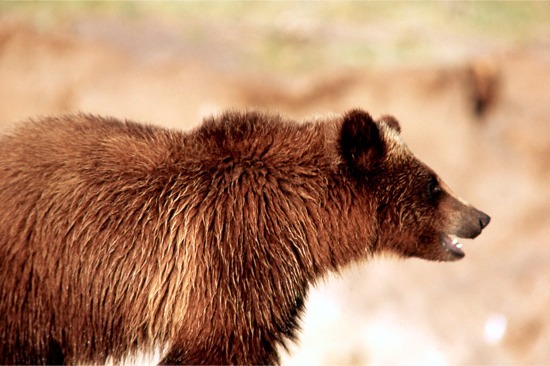 Grizzly bears in the Greater Yellowstone Ecosystem should immediately be placed back on the Endangered Species List, as a federal judge rules the Bush Administration had no business removing the bears from protected status.